Cleaning of gadgets is not something that a number of people consider necessary or relevant. They basically use their devices daily, allow it to gather dust and dirt and don’t bother to clean. Even those who want to clean their phones don’t know which item to use. Anyways, sooner rather than later, the gadget begins to malfunction. Cleaning a device even once a week can extend the life of any device. 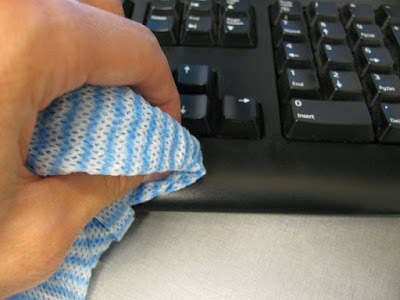 Below are some items you can use to clean your gadgets without causing any damage. Compressed air is an electronic duster used for cleaning devices. You can use it to clean your phone, laptops and USB ports. Importantly, you should shut down your gadgets before using compressed air duster and don’t clean aggressively except you want to damage your phone. Cotton bud is good for cleaning the ports of your laptop, Micro USB and charging ports. You can also dip it alcohol for enhanced performance. This is the perfect way to clean the screen of your smartphone. Microfiber clothes safely wipe screens without scratching the screen. Switch off your device, and use the microfiber to wipe the screen either horizontally or vertically until it is sparkling clean. Your old toothbrush can also serve the purpose of cleaning. You can use is to wipe your device to get rid of dust. However, ensure that you use your brush is not dirty. The magic eraser works like magic. It is mainly used for wiping stubborn dirt or residues. Dip the eraser in water, squeeze it out, and gently use it to wipe the residue. A lint remover (A lint roller or lint remover is a roll of one-sided adhesive paper on a cardboard or plastic barrel that is mounted on a central spindle, with an attached handle) is very harsh so you can only use it to clean your speakers to remove dust that has settled on it.